Sponsored post: This post is sponsored by Dramamine® but the content and opinions here are my own. Planning your travel for BlogHer can bring on so many mixed emotions; besides making sure the kiddos are all set and let's not forget what you're actually going to wear. The super excitement of seeing your blogger friends can be a little overwhelming. Plus, figuring your traveling needs/wants can be a daunting task, whether you're traveling by car, plane or train. 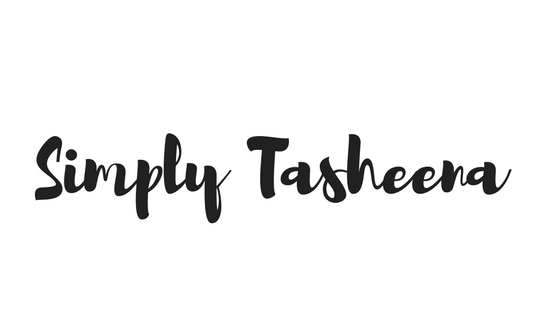 Today I'm sharing six must-have products to bring with you during your travels to BlogHer to ensure that you have an amazing experience. Invest in a pair of comfortable portable flats. While traveling, I prefer to look stylish, yet comfortable. However, one of the biggest mistakes you can make is traveling to a conference and realizing those cute flats that you have are super uncomfortable. Invest in a pair of flats that are made for traveling and have great reviews. I try to bring an reusable water bottle with me everywhere. Especially while traveling and attending blogger conferences. Of course, if you're traveling by plane, your water bottle would be empty prior to going through security and then you can refill your bottle prior to boarding your flight. If you're traveling by train or car, you can easily refill your bottle while on the go. Trust me, this sounds super simple but this tip is going to come in handy while you're attending the actual conference as well. Seeing how we pretty much live off of social media as a blogger, having a portable charger and extra charger cords are really important. Nothing is more heartbreaking than to plug your phone in the outlet on an airplane or car and the charger cord doesn't work. I get it, I've been there. You went from all excited to get some work done and/or to do some social media engaging and your phone is about to die. To avoid this from happening, purchase an extra cord and portable charger in advance. No, having both is not excessive. I go through a lot of charger cords in my home so at some point it will come in handy if I don't end up using it. Plus, if you're not next to a charger port you have your portable charger to hold you over until you're next to one. As a business owner business cards are something you should never leave home without. A lot of bloggers forget about the face-to-face interactions that they have while traveling to the conference; you never know who you will meet in your travels. I always keep my business cards in my essential bag to ensure that I always have them in arms reach. You're not the only one traveling to this conference and you have the potential of meeting brands and other bloggers during your travels. I also like to keep my business card in my luggage tag as well. As a blogger, we rely on the content that we create. While traveling, we spend most of our time creating content and taking pictures. It's very important to back up whatever is saved on our phone and computers and what better time to do that than while traveling. I always bring with me my external hard drive and an extra SD disk. They always come in handy and you want to be over prepared and not under prepared. Trust me, there is nothing worse than blogging while in route to your destination and you see an error message that the disk or your phone is full. Don't let all of that amazing content go to waste. Also, let's not think about the possibility of actually losing or breaking your phone during your travels. There’s nothing worse than traveling and you have motion sickness or to make matters worse you're traveling with the kiddos and they have carsickness. You're on the road and you have 50 miles until your next rest stop and it starts to happen. Don't let this be you. Trust me, it's the worse feeling EVER. I suffer from motion sickness so I know exactly how this feels. I always carry Dramamine® Non-Drowsy Naturals with me in close proximity. I like to carry it with me in my purse. You never know when you might need it. 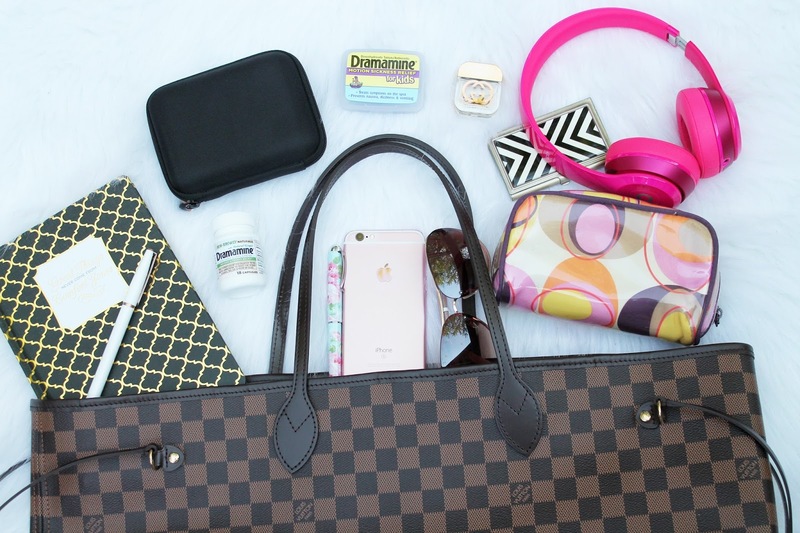 Dramamine® Non-Drowsy Naturals is the perfect essential to help with your future travel plans, especially while attending BlogHer'17. I’m planning to fly, so I know I will pack the Dramamine in my carry on! I experienced travel sickness while on my last vacation. I wasn't prepared because I rushed and packed my bag. I wasn't ready and all I wanted to do was leave where I was for a motion sickness remedy. Now, I don't leave home without a bottle. 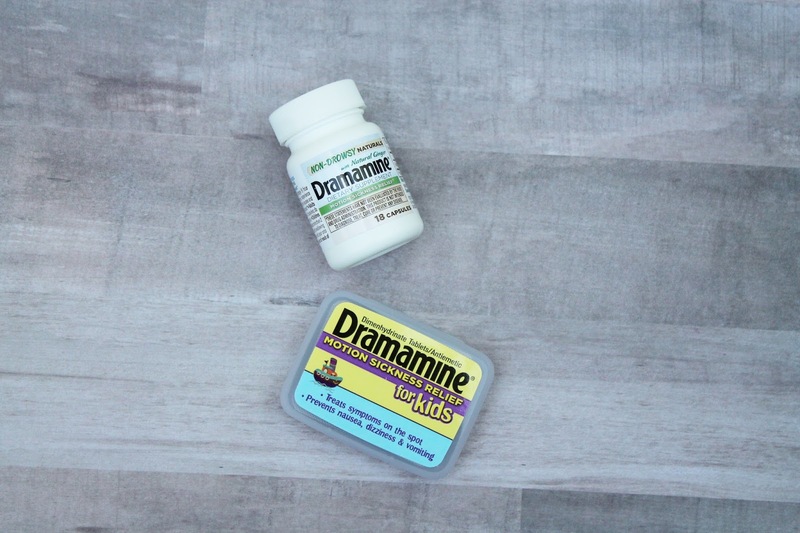 Dramamine® is America's number one over-the-counter brand for prevention and treatment of motion sickness. The small bottle can conveniently fit in my pocket or purse. As you embark on your 2017 summer adventures, whether you're traveling by plane, train or boat, know that with Dramamine®Non-Drowsy Naturals, you don't have to live with the consistent fear of getting motion sickness. Dramamine® is offering an exclusive coupon offer here for all of my amazing readers. Don't forget to stay connected with Dramamine® on Twitter, Facebook, and Instagram. How do you combat motion sickness? Share your tips with me in the comments for a chance to win! Be sure to visit the brand page on SheKnow.com where you can read other bloggers’ posts! Luckily I do not suffer from motion sickness. I am fortunate that I don't suffer from motion sickness. But my husband does and he uses a medicine to help him. I don't typically get motion sickness, but when I do having cold air on me helps and some water and crackers. My kids get motion sickness but I make sure they are watching out the window and not looking down reading or on tablets since it makes it worse. I combat motion sickness by closing my eyes or eating a piece of candy. I don't experience motion sickness. I try to stay hydrated if I feel motion sickness; I don't have it all the time, it really depends on how I am feeling. I rest my head against the seat back, to keep it still, and I do deep breathing and talk myself down. I don't have motion sickness but my husband does. He takes dramamine. Luckily I don't suffer from motion sickness. However, great reminders of what to take when travelling. Thanks! Love every single item you recommended. Dramamine® Non-Drowsy is a must-have for me. I used to suffer from bad motion sickness, but I am happy that I don't have such a pain now because of Dramamine. Oh where was Dramamine when I was a kid?! Used to suffer so much! But now, as a blogger, this is a great little list to go off. Thanks! Thankfully I only get motion sickness if I am in the backseat and since I started driving I haven't been in the back seat for years. I used to try to focus on the horizon because someone told me that would help but it never really did. I don't get motion sickness, but my husband does, so he uses this! I need to get a portable charger, that's for sure. I've never tried to combat motion sickness. I combat motion sickness by taking some Dramamine. I took Dramamine the last time I had motion sickness. Good one..I carry all this when I travel and the last one sounds good for a person like me as I have motion sickness. Wrist bands seem to help my mom who suffers from motion sickness. I keep the windows open even in the coldest weather. It really helps the cold. Don't keep them open long but it helps. Great list and giveaway! I remember using this product on my 1st boat and plane ride...it worked great! Excellent tips to prevent travel issues.I keep hydrated and in mountains occasionally need medicines . So many good ideas ... Yes the external hard drive is one I always forget! I don't really combat motion sickness other than avoiding reading while I travel since it makes me so sick. I tried Dramamine before and it put me to sleep. I haven't tried the non-drowsy formula yet but it sounds like a keeper! I really haven't had problems before, but we're planning on going on a cruise and I've had a number of people tell me to bring Dramamine along with me. I am fortunate that I have never suffered from motion sickness before. I've heard suggestions like keep your eye on the horizon if you get sick when boating. I rest my head against the seat back, to keep it still. I am fortunate that I don't suffer from motion sickness. My husband does and he uses Dramamine to help him. The only way I can combat motion sickness is dramamine and sleeping. Its one of the reasons I hate flying and always drive on road trips. I use an ice pack on my neck or open the open and let the air in no matter how cold just for a few minutes. I get motion sickness easier as I get older! No fun. I better pack Dramamine with me next time! Dramamine saved me on my honeymoon when we were deep sea fishing!! Great post! Thanks for sharing!! Luckily, I don't have motion sickness. I'd like to get some of this for my hubby though. He sometimes gets sick on long car rides when he's not driving. I do not experience motion sickness. I haven't really tried anything. I only get motion sickness on boats and don't have much opportunity to sail on them. On the rare occasion when I do, Dramamine definitely helps. I have to use that patch that you wear behind your ear. I use Dramamine for my motion sickness! I have mostly used avoidance. I know I get seasick, as almost every time I've goten on a boat or ferry it gets me. I would like to try this! Need for the car, boats and amusement parks. Nothing worse then being on a family outing and getting sick. All I have to do it drink gingerale and I get better right away. I do not read in the car. We like to go on cruises and when I start to get sea sick I lay down a bit and make sure to cool off. I'll definitely have to try Dramamine on my next trip. I used to have to sleep through flights and car rides but now I rely on Dramamine to help me get through my travels. I am lucky that I dont suffer from it so I have no tips that could help. dramamine helps when i fly, as well as chewing gum. I have suffered from motion sickness since childhood. Our first family dude ranch trip when I was five resulted in me puking my brains out upon arrival, it was the longest car ride ever. Mom bought Dramamine for the return trip and that's what I have used exclusively ever since. I have one in all my travel bags/luggage now. When I go whale watching I take one well before departure, as I have gotten older I am better during car rides and bus trips, but choppy waters in boats still set off my motion sickness something fierce!!! I combat motion sickness by avoiding things that trigger it in my like spinning fast rides or roller coasters at theme parks! I use those sea bands for travel sickness nausea. They work well! Fortunately I don't suffer too much from motion sickness unless I try to read too much. Usually I've found that any type of carbonated beverage really helps to calm any tummy troubles I do have when travelling! Thankfully I don't suffer from it much! If I do, I try to close my eyes and relax. Fortunately, I don't have to deal with motion sickness when I travel. I know others that do when they fly in an airplane, and I think that Dramamine really helps them! I do not get it but my husband combats it with taking Dramamine about 1 hour before we travel! I don't get motion sickness - luckily! I don't get much motion sickness, but I do need to sit up front while traveling far distances. It helps to keep the window open. I usually bring Dramamine or Ginger chews. But I tend to get sever motion sickness so I take both LOL! If lying down is not possible I use Dramamine to control motion sickness. The only thing I can do to combat motion sickness is lay down. Sometimes plain crackers help me with motion sickness. I take Dramamine for motion sickness. Inhaling ginger essential oil is a big help to me for motion sickness. I don't get motion sickness but I've heard the best way to deal with it is by taking Dramamine. I don't usually suffer from motion sickness unless it's unusually turbulent. When that happens I close my eyes and that lessens the effects. I take a bottle of lavender essential oil with me when I travel. I don't have a problem with motion sickness so I've never tried Dramamine. I have used Dramamine, acupressure bands, ginger, and I can still feel a bit queasy on the water. I try to combat motion sickness by being ready and having some Dramamine ready before the onset. I take Dramamine for motion sickness. Works great!